The Skip Barber Racing School is at Exhibit NT-14 at Barrett-Jackson Scottsdale, January 12 – 21. Stop on by! Stop by our booth and try your skills in the “Skip Barber Virtual Reality Road Racing Challenge.” This is adrenaline pulsing, reaction challenging racing at its virtual reality best. Win the Challenge and take your place in a Skip Barber 3-Day Racing School. Not a skilled racer? Then enter at the Skip Barber Racing School booth for the drawing that will drop the green flag on the lucky winner’s racing experience – a 1-Day Skip Barber Racing School or Driving School. If you’re the winner, it’s your choice. 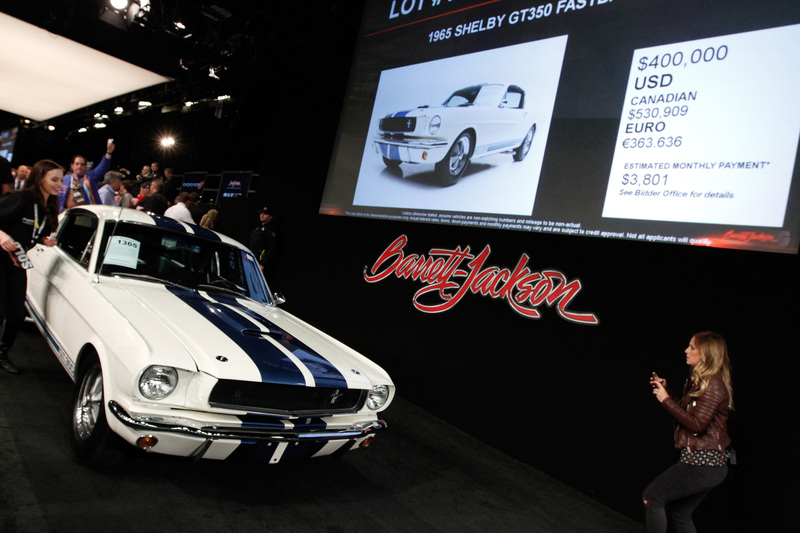 320,000 visitors enjoy 10 amazing days at the Scottsdale, AZ Barrett-Jackson Auto Auction. Come join us – we’ll have our Skip Barber Racing School Boss 302 Racing Mustang … and Virtual Reality Road Racing! Barrett-Jackson Auto Auction Special: Sign up for a 1-Day, 3-Day or 2-Day Advanced Skip Barber Racing School while you’re in Scottsdale and take “10% off the top.” That’s right – a 10% discount when you sign up for one of our incredible Racing Schools while you’re in Scottsdale..
We’ll see you at Barrett-Jackson … and join us for regular updates throughout the year on social media.